The King of the Green Golf Academy offers excellent instruction for improving your game, presented under the direction of our Director of Instruction Jim King, utilizing the V1 video teaching system and in conjunction with the famous Bayou/Bardmoor Golf School. The all-encompassing golf school offers everything from private lessons to Junior golf camps to daily schools. Jim offers daily camps that run Monday through Thursday all summer, for Bayou Club Members. 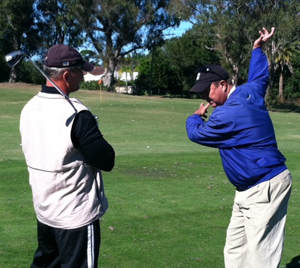 The King of the Green Golf Academy incorporates top quality instruction in the most dynamic learning environments. Practice on groomed hitting areas, well-manicured putting greens and rolling bunkers for greenside and fairway sand training. On-course lessons are also available.